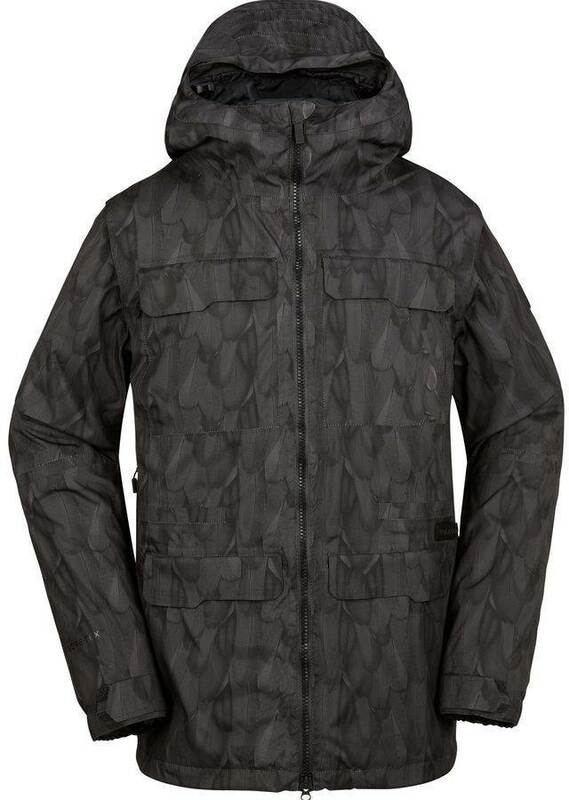 The Volcom Stone Gore-Tex Jacket has continued to evolve since I’ve first tried/owned it. The pockets are much more functional and the material feels smoother and more water repellant. 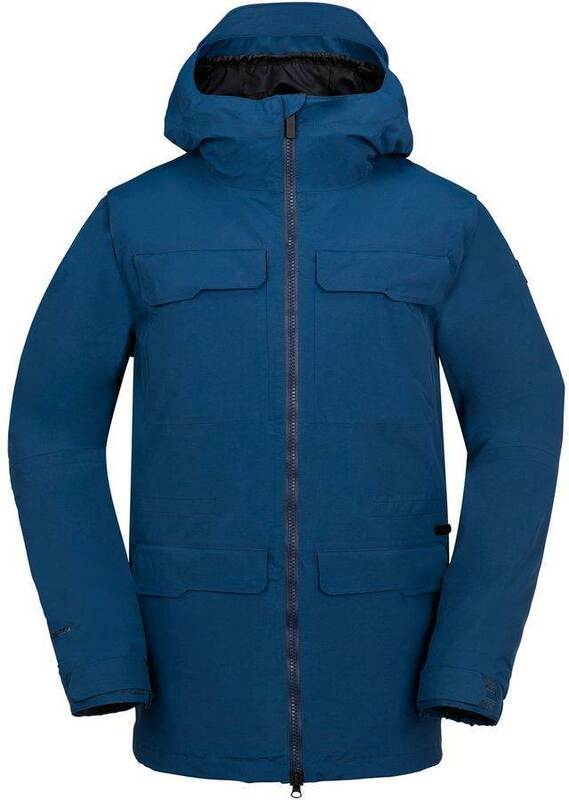 It has a flattering fit and other than some pretty tight wrist gators it has a great fit. 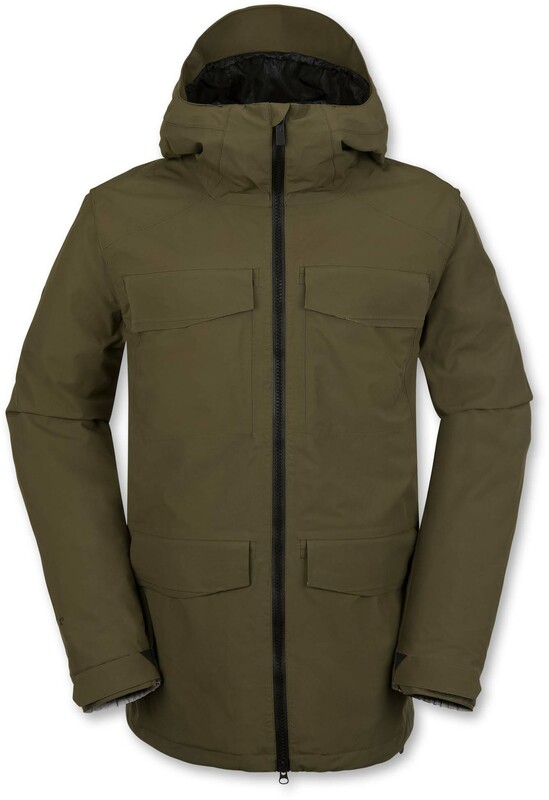 The Volcom Stone Gore-Tex Jacket is a jacket that fits well, is very waterproof, looks good and despite almost all down entry pockets does a good job at ticking all the boxes. There was a little bit of a zipper issue at the collar with our 2016 Jacket but 2017 has no issues and it’s a jacket I chose to keep on the hill. Fit: It’s a great fit that flatters a body type like mine. It fits around a semi-thick frame well but also flatters a thinner frame if you size down. 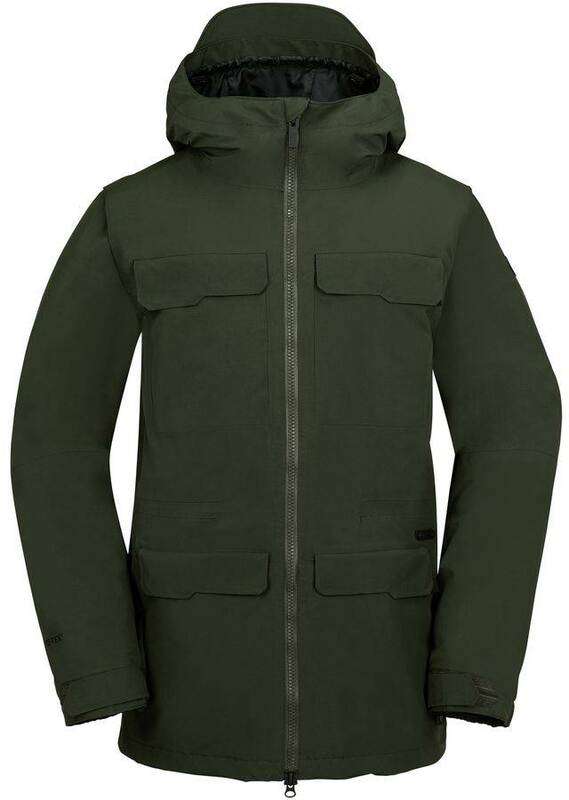 For me the Large was perfect and as you can see from my build my arms are best with med-small jackets, my chest best with XL and my Torso best with med-large jackets. Despite all those mixed up body parts it looks good on me. 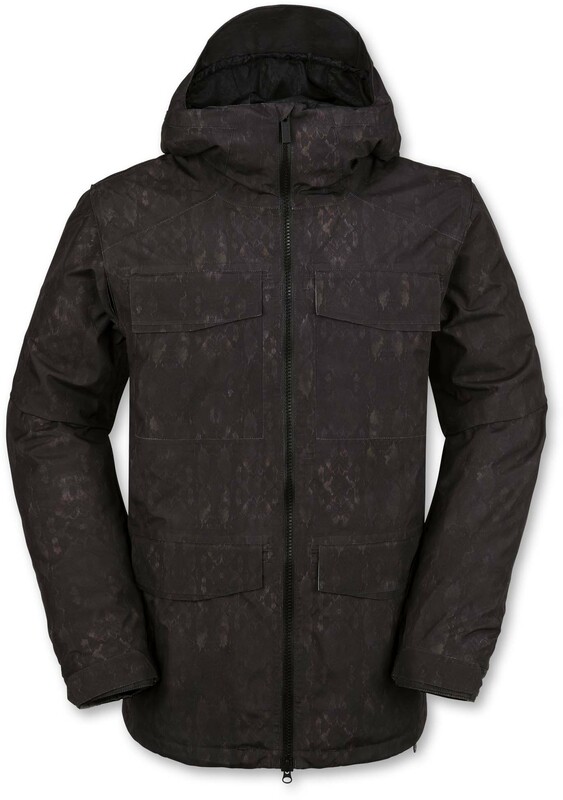 Construction: Very good construction and this jacket seems like it’s built to last. There were no issues when I was done testing it in all kinds of weather. Didn’t like the down pockets at the bottom of the jacket but other than that it did just fine functionality wise. 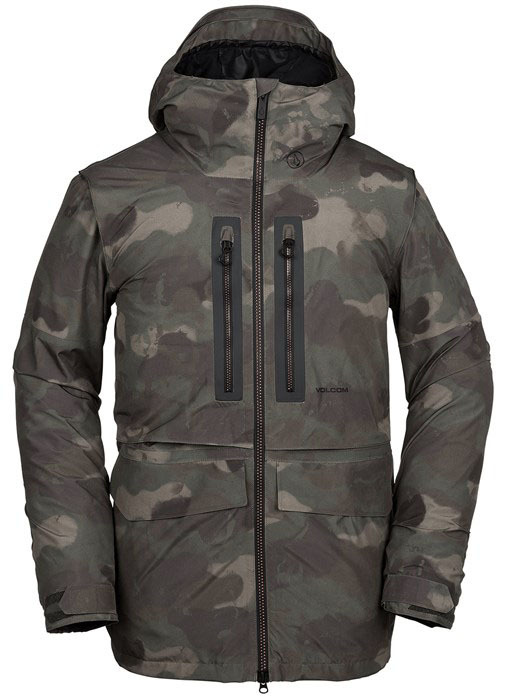 Hood: I love a contoured hood for the reasons you see in the vid above. It wraps around my goggles perfectly. Insulation/Warmth: Not much going on here because it’s a shell. It kept the wind and water from getting through so the mid layers could do their job. So it’s not warm alone but when I’m wearing it my inner layers are warmer. Waterproofing: Gore-Tex jackets like the Volcom Stone are really strong when it comes to blocking moisture and it’s pretty bomb proof. Breathability: Now I have had other tech feel more breathable but this is still near or at the top when it comes to regulating heat. I run steamy on occasion and the Volcom Stone always did a good job at regulating my heat. 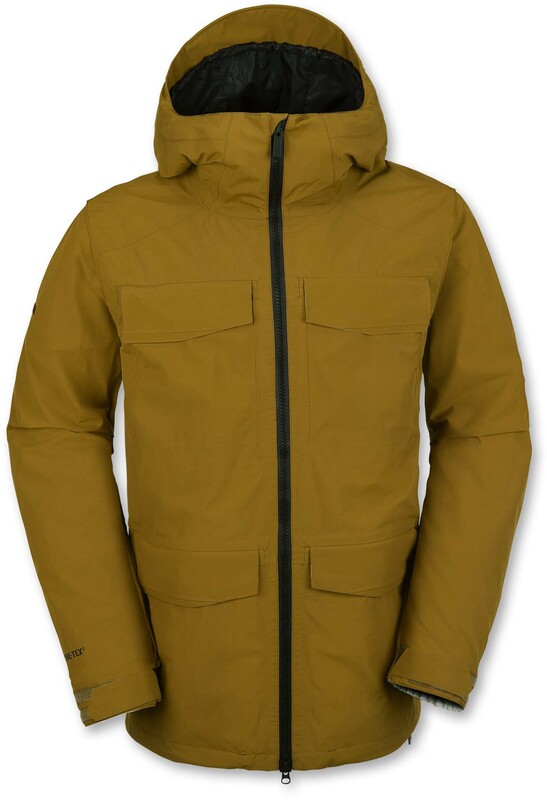 Overall: Really impressed with the Volcom Stone and I’m glad I brought it into my quiver for a while. If you ride lot’s of days a year in areas with lots of wind and weather this is a great call. I forgot to mention the facemask feature that’s not bad at all. We try to get as many images of the Volcom Stone , but forgive us if they're not all there.